In the interest of full disclosure, One Mile At A Time earns a referral bonus for anyone that’s approved through some of the below links. These are the best publicly available offers that we have found for each card. Please check out our advertiser policy for further details about the partners we work with. Thanks for your support! We choose our OMAAT Picks based on the combination of benefits the card provides, and the ability to earn outsized rewards. One of the keys to traveling the world for next to nothing is having the right credit cards. Virtually all airlines and hotel chains have co-branded credit cards that allow you to accrue points in your preferred program. Not only do credit card companies offer huge sign-up bonuses just for being approved for a card, but they also offer bonus points for spending in certain categories. I earn around a million miles a year through credit cards, about half of which come strictly from the sign-up bonuses earned by being approved for a credit card and completing a minimal amount of spend. The other half I earn through maximizing everyday spend (allowing me to earn anywhere from 2x to 5x points per dollar) and taking advantage of every bonus promotion available to me. Every year I redeem these points for a handful of first class trips around the world. There are a lot of misconceptions about how credit scores work, as most people believe that applying for a credit card will negatively impact their credit score. As long as you keep your credit utilization low and make your payments on time, you shouldn’t see a negative impact on your credit score from applying for cards. Keep in mind you’ll need Very Good or Excellent credit to be eligible for many of the more lucrative cards below, and I’d never recommend carrying a balance on a rewards-earning card, as the interest payments can negate the value of the rewards. My credit score is actually much better now than it was before I started applying for lots of credit cards, and I apply for multiple each year. The companion fare offer alone makes this card a no-brainer, not to mention the bonus 40,000 Alaska miles which are very valuable due to their current award chart. 40,000 Bonus miles when you make at least $2,000 in purchases within the first 90 days of opening your account. • 40,000 Bonus Miles + Alaska's Famous Companion Fare™ Offer: Get 40,000 bonus miles plus Alaska's Famous Companion Fare from $121 ($99 fare plus taxes and fees from just $22) with this offer. To qualify, make purchases of $2,000 or more within the first 90 days of opening your account. • Get Alaska's Famous Companion Fare™ from $121 ($99 plus taxes and fees from $22) every year on your account anniversary valid on all Alaska flights booked on alaskaair.com. There are no blackout dates. • Save with a free checked bag on Alaska flights for you and up to six other guests on the same reservation. • Earn 3 miles for every $1 spent directly on Alaska Airlines purchases and 1 mile for every dollar spent on all other purchases. • Get exclusive access to discounted redemption levels when you redeem miles for hotel stays at over 400,000 properties using Alaska Airline Hotels. • Earn unlimited miles and travel with no blackout dates and no international transaction fees. 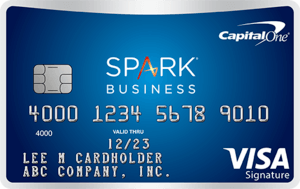 • Low annual fee of $50 for the company and $25 per card. 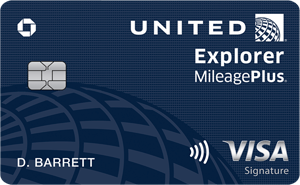 This card allows you to earn 40,000 Alaska miles after qualifying purchases, which are very valuable due to their current award chart. Great for Alaska Airlines and past Virgin America frequent fliers as the card allows you to earn 3 miles for every $1 spent on eligible Alaska Airlines purchases and you will receive a companion fare offer which can be useful. 40,000 bonus miles with this special offer. To qualify, make purchases of $2,000 or more within the first 90 days of opening your account. • NEW - 40,000 Bonus Mile + Alaska's Famous Companion Fare™ Offer. • Get 40,000 bonus miles and Alaska's Famous Companion Fare from $121 ($99 fare plus taxes and fees from $22) with this offer. To qualify, make purchases of $2,000 or more within the first 90 days of opening your account. • Get Alaska's Famous Companion Fare™ every year! EACH YEAR on your account anniversary get a companion fare from $121 ($99 plus taxes and fees from $22). Valid on all Alaska flights booked on alaskaair.com. • Earn 3 miles for every $1 spent on eligible Alaska Airlines purchases and 1 mile for every $1 spent on all other purchases. • Get exclusive access to discounted redemption levels when you redeem miles for hotel stays at over 400,000 properties using Alaska Airlines Hotels. • Earn unlimited miles and travel with no blackout dates and no foreign transaction fees. This card has one of the longest intro APR periods we've seen -- valid for both purchases and balance transfers made in the first 60 days of opening your account. This is a great card if you're looking for no annual fee, cash back type of card. If you're a Preferred Rewards member, you can get a 25% - 75% rewards bonus on every purchase.